The Government Legislative Commission has approved a draft law aimed at lowering visa barriers that hinder the development of inbound tourism to Russia, said the press service of the Russian Council of Ministers. According to the draft law, foreign nationals arriving in Russia in transit from specific countries (a list the Russian government will approve) and via international airports for the purpose of tourism will be able to stay in Russia for up to 72 hours without a visa. Thus, foreigners who fly, for example, from China to Spain through Moscow may be authorized to stay in Russia for 72 hours with no need of obtaining a visa. While waiting for their flights, tourists will be able to leave the airport to visit the city. Visa regulations and high transport expenditures are among the most complex issues related to developing inbound tourism in Russia. Adopting the draft law will help promote an increase in the flow of inbound tourism through the Moscow transportation hub from 20 percent to 30 percent annually. An increase in the volume of consumption of tourism services from 13.1 billion ($391 million) to 19.7 billion rubles ($592 million), as well as an increase in revenue from available hotel services from 3.6 to 5.4 billion rubles ($108.1 million to $162 million), can also be expected. The Russian Ministry of Culture is advocating for the introduction of another version of the easing of visa requirements for foreign tourists: visa-free entry into Russia (with the right to stay for up to 10 days) for foreigners planning to attend large-scale, official, cultural and sporting events. A list of such planned events would be determined by the government and president. At the moment, this idea has not received legislative promotion. The government’s proposed plan contains a list of requirements for foreigners who wish to remain in Russia for 72 hours without a visa. 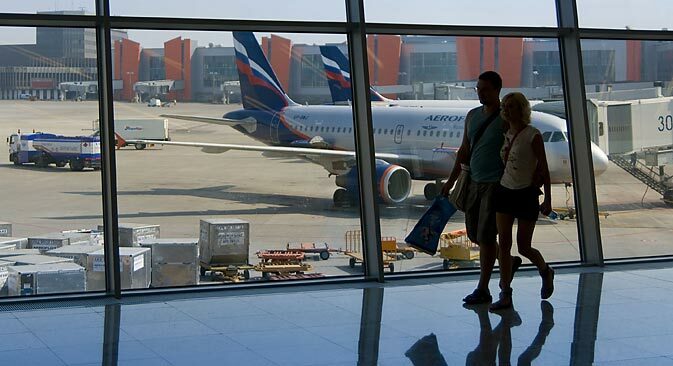 Passengers must have proof of identity, authorization for entry (if required), medical insurance for the duration of the stay in Russia and an agreement for the rendering of tourist services. Based on materials from RBC, ratanews.ru and amic.ru.